The society currently provides the Joseph M. Parish Memorial Grant, the Joseph C. Johnson Memorial Grant, and the Kurt H. and Donna M. Schuler Small Cash Grant Programs. Although these grants are available each year, any or all may, or may not, be awarded based on the committee's receipt and evaluation of candidate applications. Only engineering technology students qualify, not those seeking an engineering degree. This grant honors the late Joseph C. Johnson, CET, who was a long-time ASCET member and former Northeast Regional Vice President. Certified in 1970 as a senior engineering technician, Mr. Johnson had a distinguished career in federal government service at both the David Taylor Model Basin and the US Naval Authorities Command, Chesapeake Division, Washington, D.C. This grant shall be in the amount of $750.00 to offset the cost of tuition, books and lab fees. Be an American citizen or a legal resident of the country in which the applicant is currently living. Be either a student, certified, regular, registered or associate member of ASCET. Be a full or part-time student in an Engineering Technology program. NOTE: Students in a two year program should apply in the first year to receive the grant for their second year. Students in a four year program who apply in the third year may receive the grant for their fourth year. 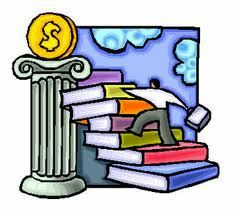 Be qualified for financial aid under the Federal College Work Study Program. Show financial need, as verified by the Dean or Registrar of Engineering Technology, or the Financial Aid Office at the institution the applicant is attending. Provide a letter of recommendation from a faculty member of the Engineering Technology Department outlining the motivation, progress, outstanding achievements, and an evaluation of the applicant's potential in the field of Engineering Technology. Provide letters of recommendation from two personal acquaintances, employers or former employers, outlining association, motivation and potential for success. Assure timely receipt of the application by the ASCET Financial Aid Committee. This grant honors the late Joseph M. Parish, P.E. who was instrumental in the establishment of ICET (now NICET) and an early supporter of this society. The grant is the amount of $500.00 to be used to offset the cost of tuition books and lab fees, and may be awarded annually. Applications will be evaluated by the Financial Aid Committee which will determine eligibility and forward its recommendations to the president of ASCET. Should the committee recommend more than one recipient, the Executive Committee shall select the most deserving candidate. Be an American citizen or a legal resident of the country in which the applicant is currently living. Be a Student member of ASCET. Be a full time student in an Engineering Technology program. If you are going for a BS degree in Engineering, you are not eligible for this grant. NOTE: Students in a two year program should apply in the first year to receive the grant for their second year. Students in a four year program who apply during their third year may receive the grant for their fourth year. Be qualified for financial aid under the Federal Work Study Program. Show financial need, as verified by the Dean or Registrar of Engineering Technology, or the Financial Aid Office at the institution the applicant is attending. Failure to complete or include any items in the application package may be grounds for rejection of the application unless the committee, at its discretion, is able to notify the applicant of the incomplete or omitted items and such items are submitted within the evaluation period time schedule. The chairman will notify the recipient of the award and advise the recipient to contact the appropriate person in the institution for disbursement of the award. The secretary-treasurer shall issue a check for the amount of the grant to the institution which the recipient attends. The institution shall then be responsible for administering the funds in accordance with its policy. The recipient withdraws from the program prior to completion or fails to maintain the required grade point average, all unused funds shall be returned to the society. If there is a change in status on the part of the recipient between the time of the application and award of the grant, the chairman and the secretary-treasurer will make one attempt at resolution. If this fails, the funds will revert to the proper society account. In the event of an accident or illness which prevents the recipient from continuing studies, special consideration may be granted by the chair upon written request. The small Cash Grant program was suggested by students and faculty advisors who recommended that several grants be awarded to deserving students and that these awards carry as few restrictions as possible. Each award shall be in the amount of $400.00 to be used to offset the cost of educational expenses as desired. Such grants may be awarded to one or more students each year. Be either a student, certified, regular, registered or associate member of ASCET. OR be a high school senior in the last five months of the academic year who will be enrolled in an Engineering Technology curriculum no later than six months following selection for award. Achieve passing grades in their present curriculum. Copy of transcript to be included. Provide a letter of recommendation from a personal acquaintance, faculty member, or employer outlining motivation, progress, outstanding achievements, and an evaluation of the applicant's potential in the field of Engineering Technology. The chairman shall notify the recipients of their awards and advise them to verify their address so they can be contacted directly to receive their awards upon notification and verification of their enrollment in an engineering technology curriculum. The President shall issue a check for $400.00 directly to the recipient. Presentation of the check should be coordinated between the President and the Regional Vice President in whose region the recipient resides. If there is a change in status on the part of the recipient between the time of application and award of the grant, the chairman and secretary-treasurer will make one attempt at resolution. If this fails, the funds will revert to the proper society account. Award checks not cashed within six (6) months of issuance will be researched by the chair and the secretary-treasurer and another attempt will be made to issue the grant. If this attempt fails, the funds will revert to the proper society account. Completed applications should be directed to the National ASCET Office. Applications should be postmarked by February 1st. All received applications will be reviewed for completeness and ranked by qualifications by the financial aid committee. Award recommendations will be presented by the committee to the Executive Committee at their spring meeting (usually late April/early May). Those applicants who are awarded grants will be notified by July and will receive their award shortly after the start of the fall semester once enrollment has been verified. The downloadable PDF applications for the Joseph Parrish, Joseph Johnson and Kurt Schuler grants are located in this directory.